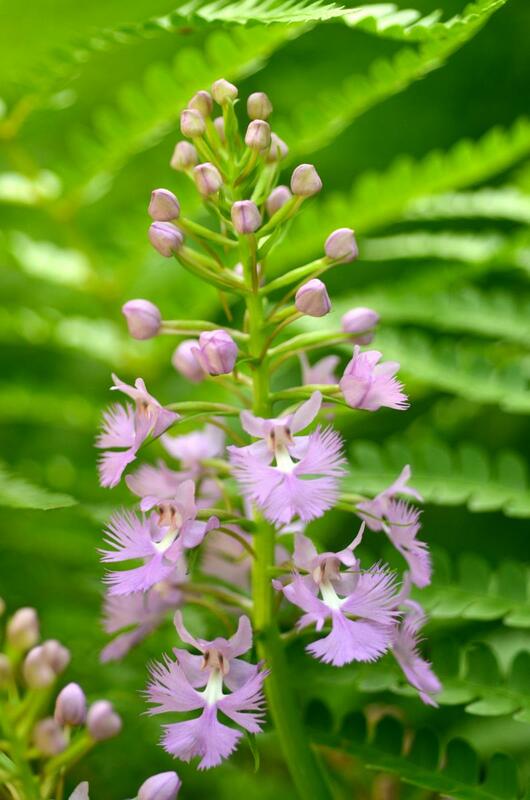 What's in Bloom: Wildflower identification & monitoring for all skill levels | Mountain Lake Biological Station, U.Va. What's in Bloom is a beginner-friendly wildflower identification and phenology monitoring program. Guided hikes to Bear Cliffs are led by MLBS staff and researchers who are skilled in plant identification. Along the hike, you will have the opportunity to observe species in bloom and in fruit at MLBS; learn the basics of field plant identification; and help record data on when selected species are in bud, blooming, or in fruit. You'll gain an increased familiarity with local flora, a better understanding of plant ecology and phenology (timing of flowering), and a greater ability to identify unknown plants you encounter in the future. The station benefits from a growing dataset that provides insight into the species diversity, distribution, and phenology of its flowering plants. Whether you participate just once, twice, or weekly, we invite you to join us! Come enjoy the beautiful wildflowers and peaceful environment of the Station's forests. You're sure to learn a thing or two along the way, too! What's in Bloom hikes are open to community members, Station residents, Mountain Lake Lodge guests, and anyone else who is interested. Absolutely no experience is necessary! However, this program is not recommended for young children. Hikes take place weekly, and participants may come as many--or as few--times as they would like. Summaries of hikes are also available at our Bloom Blog. What's in Bloom hikes occur weekly throughout May and June, and usually take 2 - 2.5 hours from start to finish. There is no expectation of repeated attendance (though you are of course welcome to come as often as you would like!). Feel free to come for just one week. Please wear sturdy, closed-toe shoes and dress in layers. A bag lunch is recommended. Call the Station office with any questions. 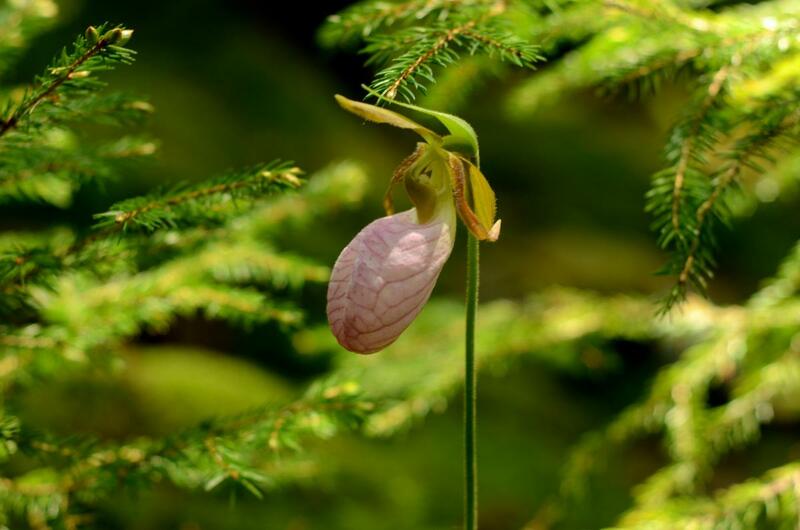 May 18, 2013: Trilliums, anemones, lady's slippers, and more!